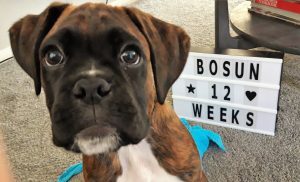 Welcome puppy Bosun! Choosing a puppy the right way. Welcome to my super new website and very first blog! 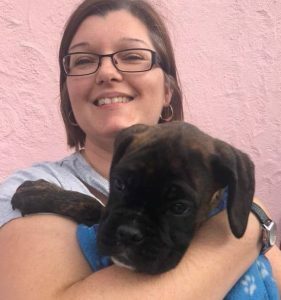 I thought the perfect place to start would be to introduce you to the newest member of the Fur Babies family, Bosun the boxer puppy! Getting any pet is so exciting, BUT – before we decided to welcome a new dog into the home, we had some very important things to consider, not least if we had the time to devote to him and the expenses of food and vets bills. 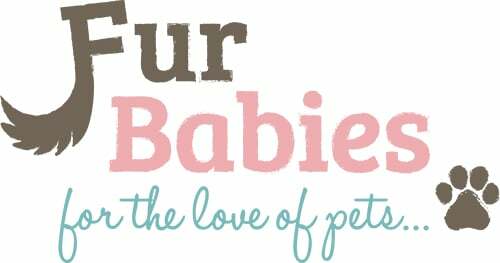 We also carefully considered points of size and temperament, daily exercise and grooming needs. Did we want a puppy or an older dog? The latter was a very important question and led us directly to another. Should we take on a rescue dog? Unfortunately although we did explore this option there was some difficulty when it came to finding a suitable dog for a family with younger children and a cat. (Another important consideration – how would our existing pets respond to the new addition?) That’s not to say if we had continued our search we might have found our perfect match, and I certainly don’t want to discourage anyone from considering a rescue dog (far from it), but that is how we came to the decision to take on a puppy, which was the right choice for us right now. When the children are older and we are ready for another dog, we will certainly be revisiting those shelters. Having considered all of the above we all agreed that a Boxer was the dog for us! 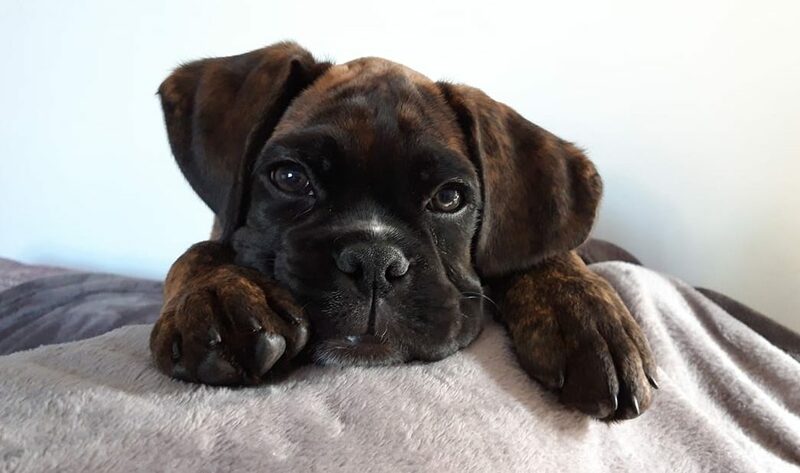 Boxers have very short, smooth fur requiring little grooming and as anyone will tell you have a very playful personality! Not wanting to fall into the traps of the puppy farmers, the next step was to find a reputable breeder and where better than with the Kennel Club assured breeder scheme? Soon enough we were visiting a boxer mum and her litter of pups and, satisfied with the health of the dogs and their living conditions, we had found our puppy! We spent the next few weeks getting prepared, puppy-proofing the home and stocking up on newspapers for toilet training. We also prepared for the introduction to Smithy, our 11 yr old cat, with a pheromone diffuser and encouraged him to sleep on the blanket we would later use for the puppy. We took this blanket with us to collect him, acting as an initial ‘scent introduction’. Now 12 weeks old he is growing fast! With vaccinations complete we are starting to take short walks and will soon begin puppy classes with our local Dogs Trust training school. We had been practising lead walking in the garden before our first walk so, allowing for PLENTY of time for stopping & sniffing, our first little walk to school to collect human child number 2 was a success. 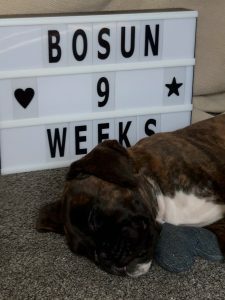 Of course he made lots of new friends at the school gates, he loves children so we will be focussing on good manners at puppy classes and learning not to jump up and be too boisterous as boxers are wont to do! We are at the very beginning of our journey together with lots of fun ahead!